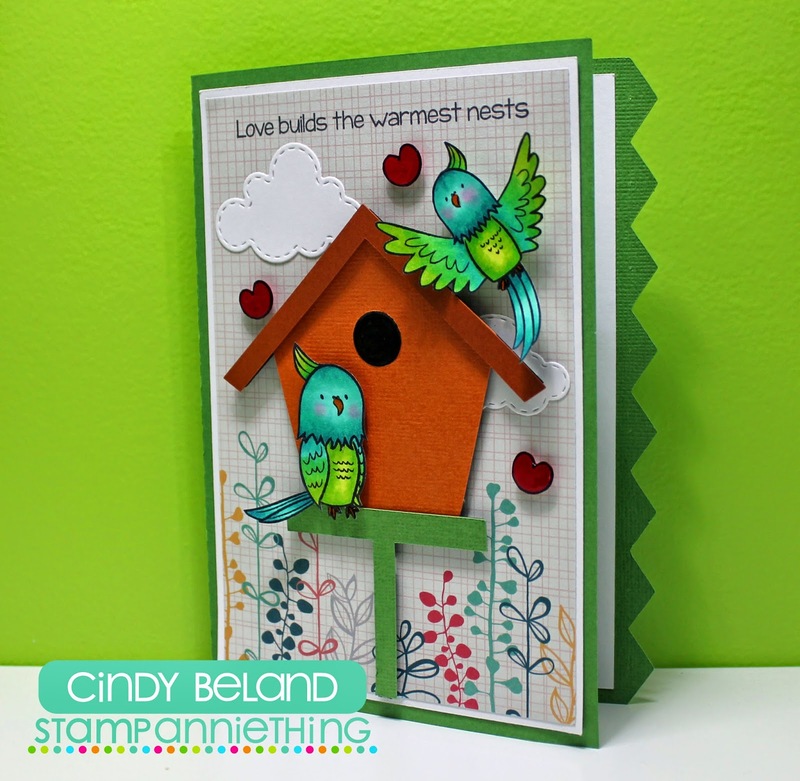 Stacie here with another project using the adorable stamps from Stamp Anniething! 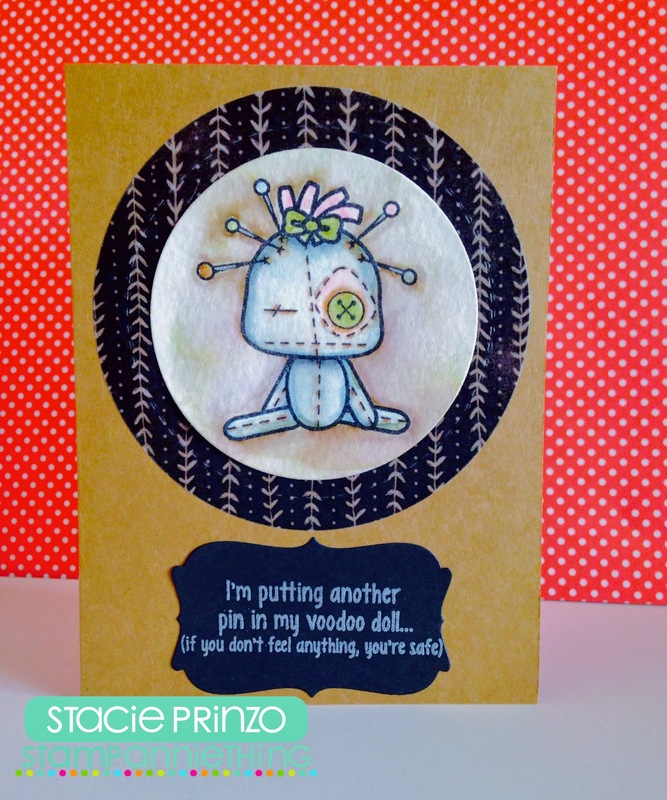 I used the stamp set Voodoo You Love? which is out of stock at the moment. I colored this cutie with Distress Inks. Thank for taking a look! Be sure to join us tomorrow for the first of 3 new releases!! 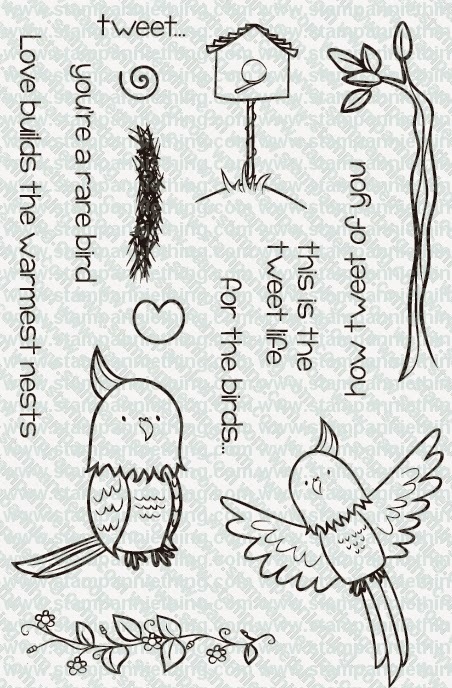 Love Builds The Warmest Nests!!!! I scribbled on to a acrylic block using the dark marker BG09, and then picked up a bit of the dark ink using a lighter marker BG23. You will get a great mix of the two and it is nice when you don't have in between colors!!! you will not ruin your markers using this technique. Just make sure to scribble a little bit on the side to take any of the dark ink off!!! Hello Everyone! Mel here with a cutie that is so cheerful. 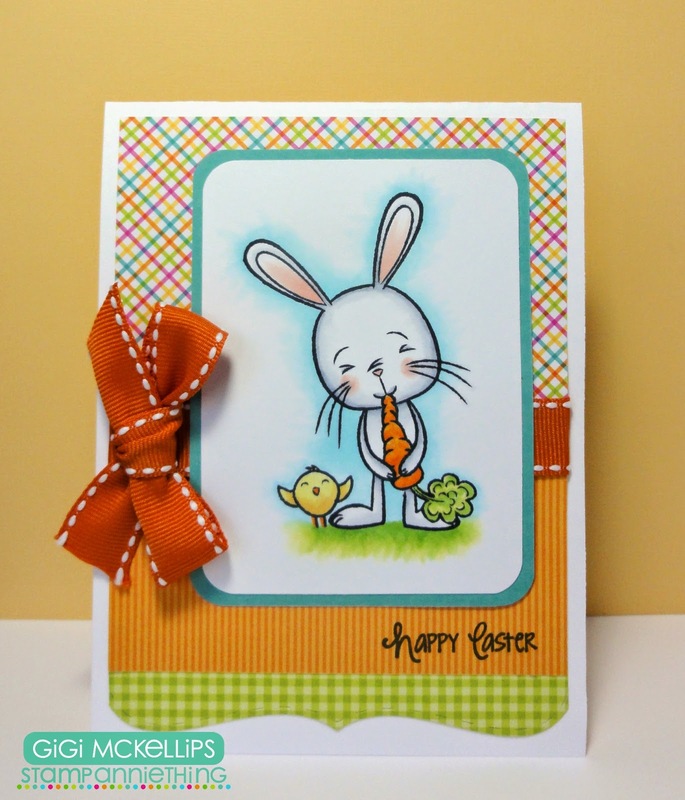 This rabbit is from the "Bunny Hugs to You" stamp set. I colored him with Copic Markers and added some washi tape and enamel dots from Queen and Company. Hello everyone! This is Cassandra from Creating with Color by Cassandra. Today I have a fun Birthday Treat to share with you. 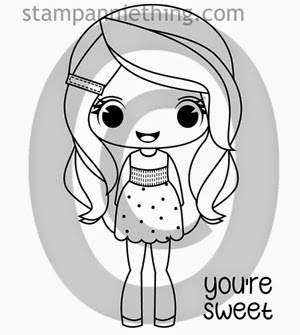 This little cutie is from the Stamp Anniething ~ Wish Big. 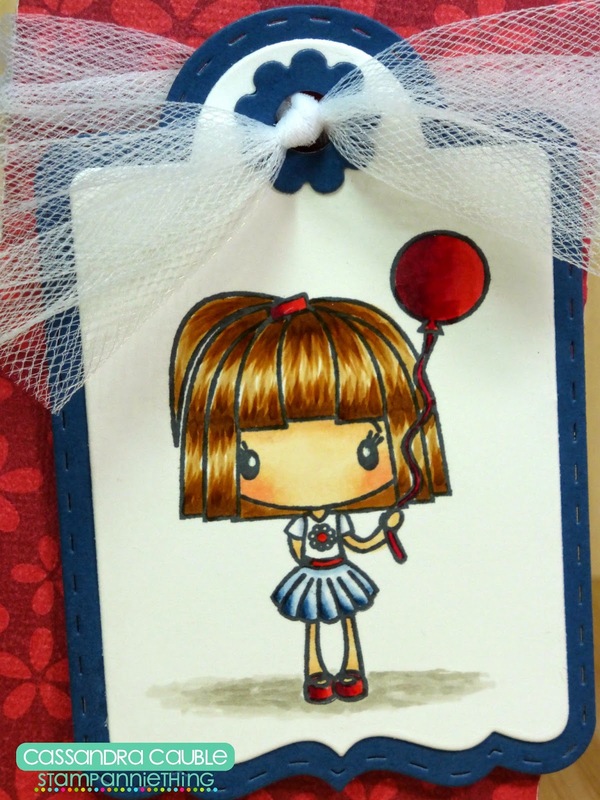 I cut the tag using the Jaded Blossom ~ Treat Tag Die and adhered it using some fun tulle. 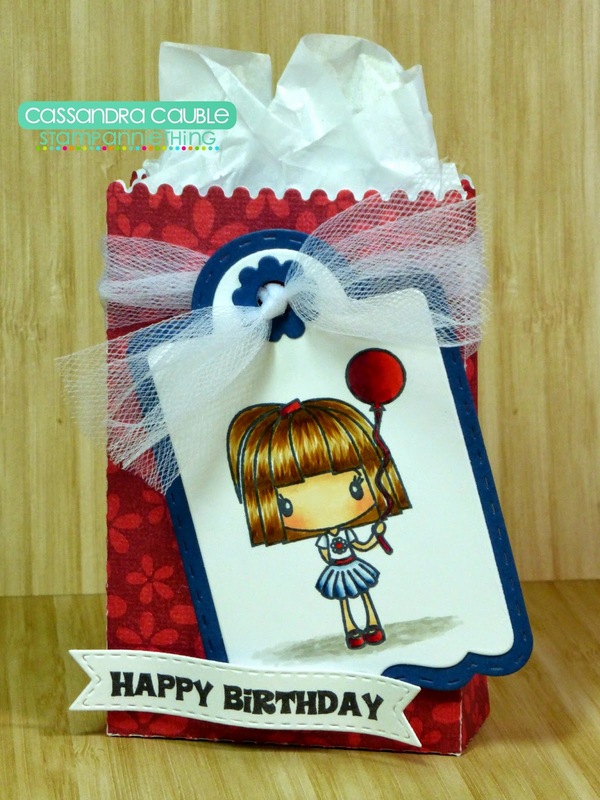 I cut this fun treat using the Jaded Blossom ~ Goody Bag Die. The label is cut with the Jaded Blossom ~ Mini Tag Dies 2. 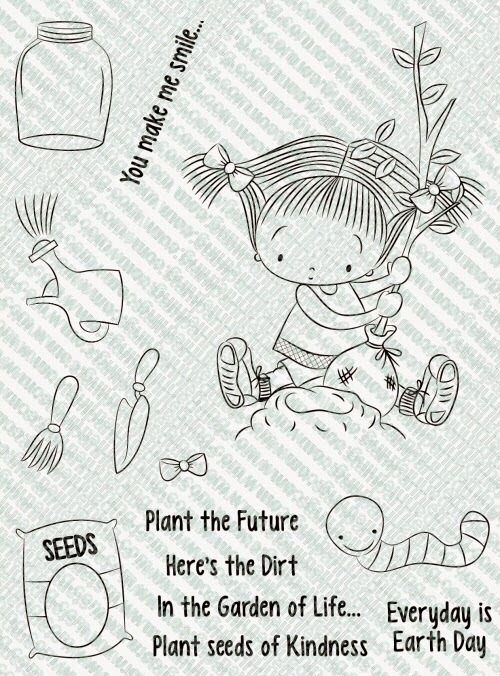 And the sentiment is from the Stamp Anniething ~ Wish Big. Well that's it for me today. I will see you all again soon. Happy coloring!!! Hi everyone! This is GiGi from The Cricut Bug and I have a sweet card to share. 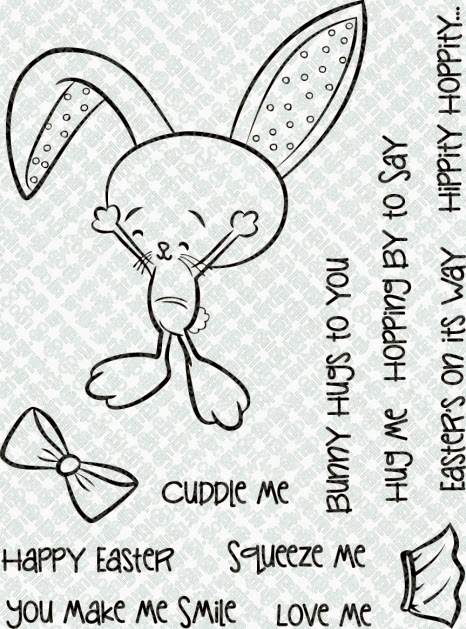 I used the Bunny Hugs To You stamp set to create this card. 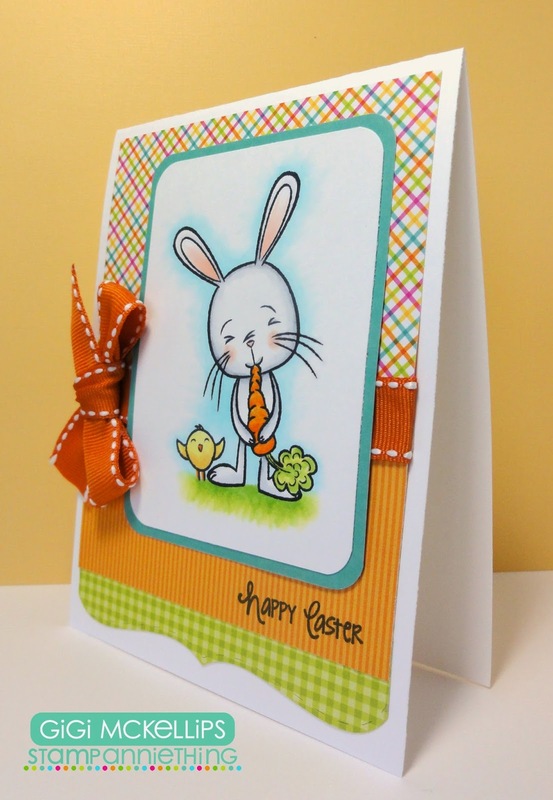 How adorable is that little bunny?!?! 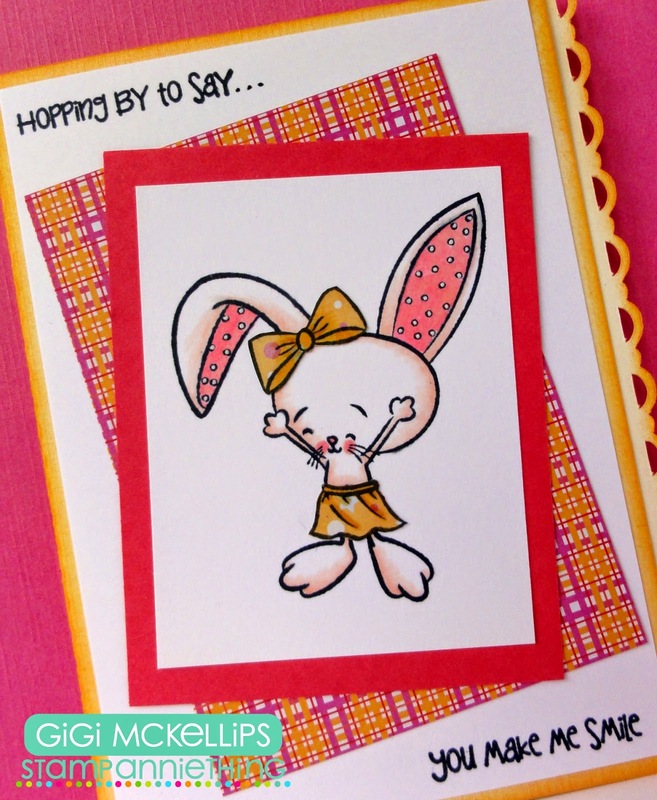 In the Bunny Hugs To You stamp set, there is the option to add that cute little skirt and bow. SO, of course I had to add them! LOL! 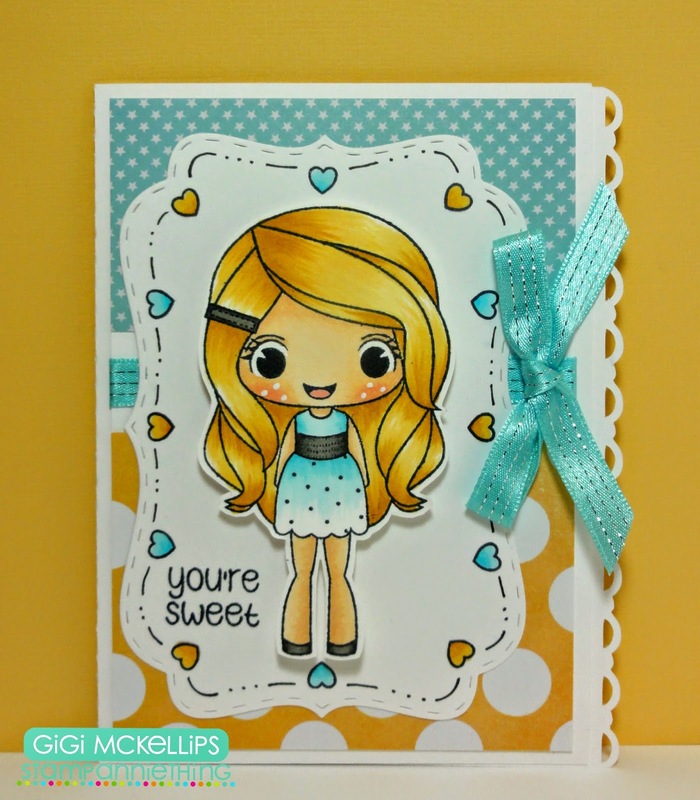 I started this project with the SVG Cutting File Side Cut Card-Lacy and cut it out with my Cameo. 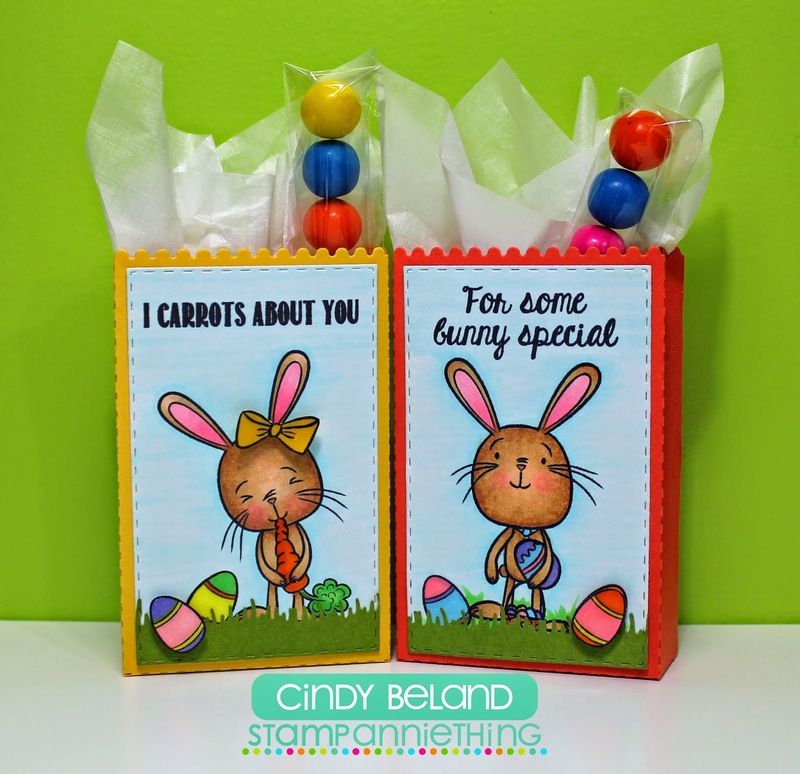 I stamped and colored the bunny and then paper pieced the skirt and bow. I matted her in a thick pink mat on top of a plaid mat and placed them off center. To finish, I stamped the sentiments to the top and bottom of the card. 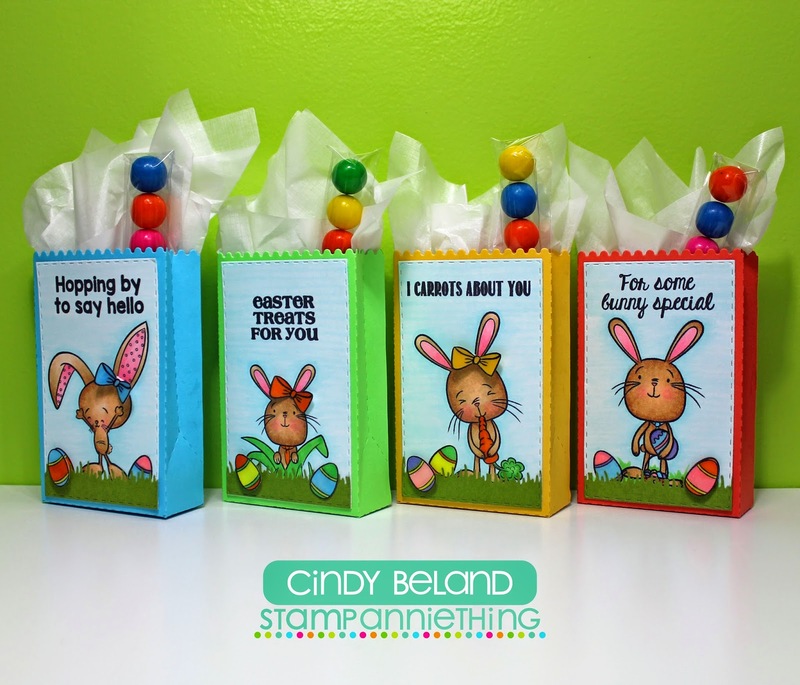 Easter Treats for you - Stamp Anniething's Post!!! Here are the Stamp sets that I used from Stamp Anniething's for today!!! Hello! I had some time this weekend to make some cards. I thought I would color up Jemma because she is just so cute for Easter. I found this fun sketch at Sweet Sunday Sketch and thought I would play along. You can read about the challenge, HERE. Hi everyone! This is GiGi from The Cricut Bug and I have a cute Easter card to share with you. 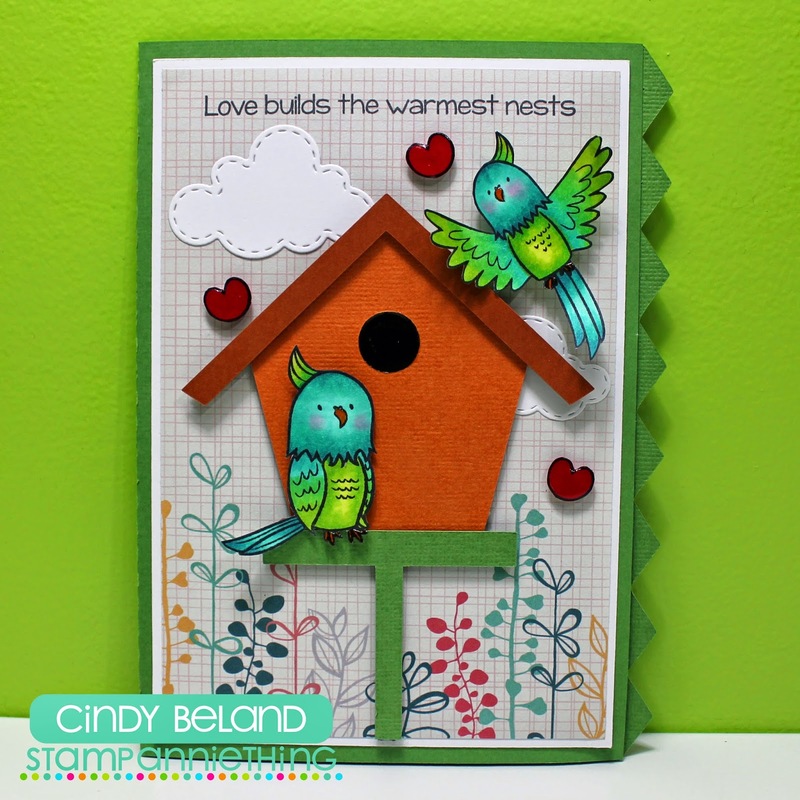 I used the For Peeps Sakes stamp set to create this card. This stamp set is SO super cute! 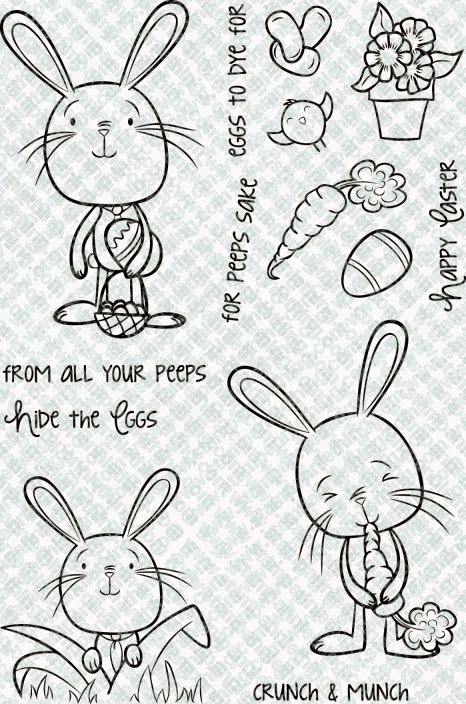 I just love the bunny images in it! 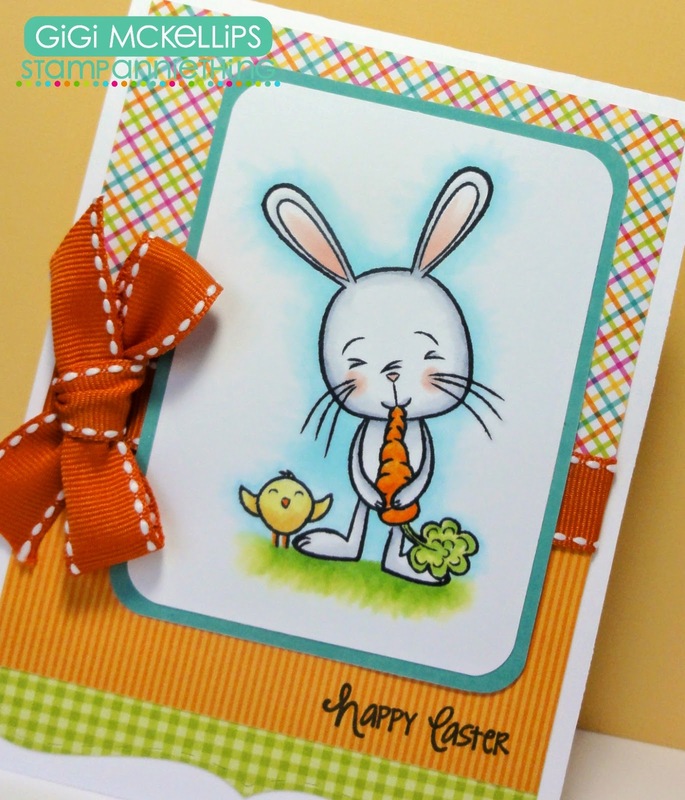 I stamped the bunny, chick, and sentiment from the For Peeps Sake stamp set. I colored them with Copic markers adding some green to the bottom for grass and gave it a shadow of blue. I matted the image in blue rounding all the corners with a corner punch. 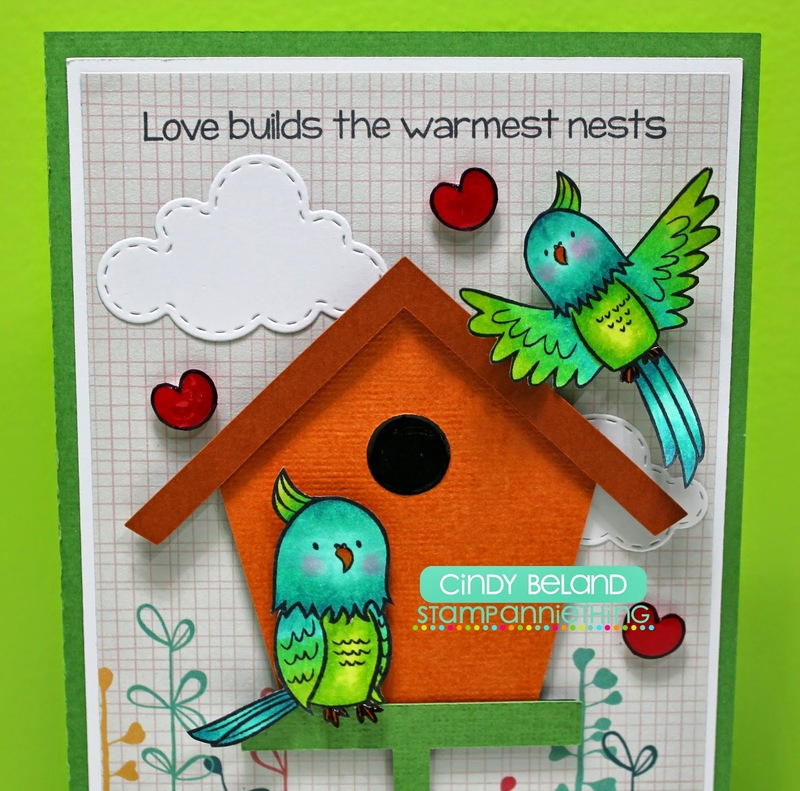 I used the Jaded Blossom Fancy Topper Die to cut the bottom green panel and added it to the mats. To finish, I added a ribbon and bow. 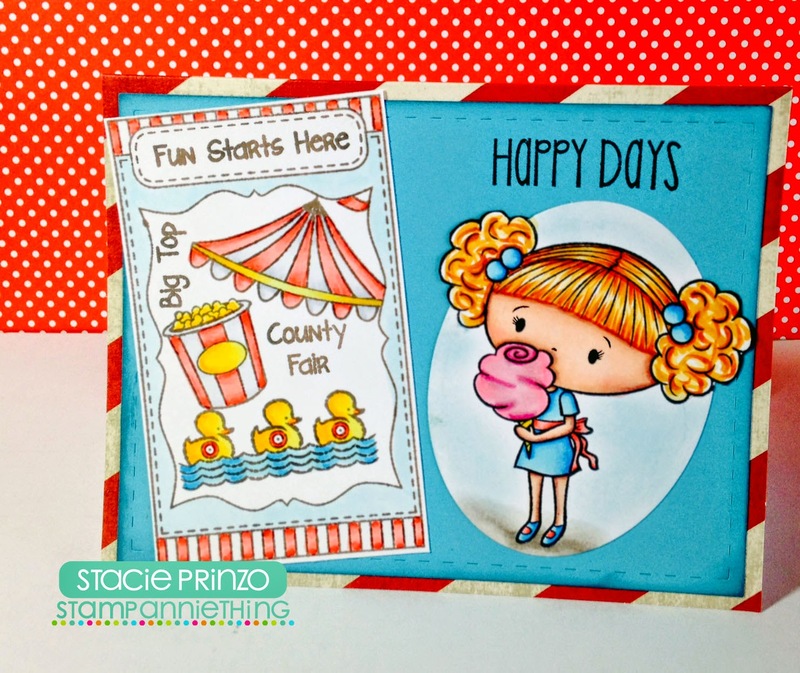 Stacie from Madjoe Cards here with today's Stamp Anniething blog post! I used this adorable stamp set for my card today! I just love this little girls cute curly pigtails! I used Jaded Blossom Seeds of Friendship to make a sign for the County Fair! 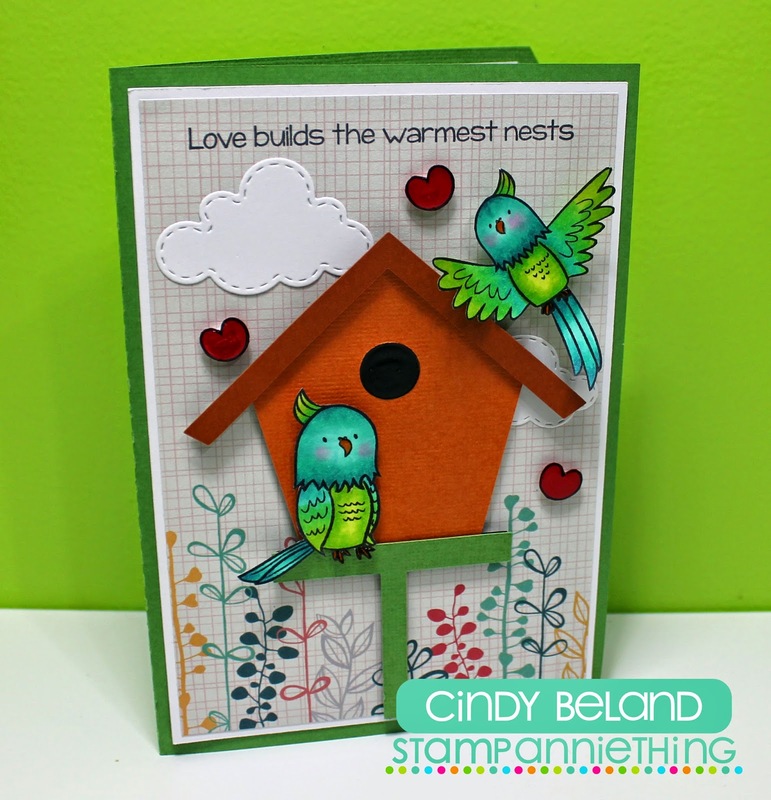 I am having so much fun playing and creating with Stamp AnnieThing! stamps, I miss getting to play with my Copic Markers and now I get to have fun with Ann's cuties!!!! All the Copic Markers I used on my image today is down below!!! Hello everyone! This is Cassandra from Creating with Color by Cassandra. 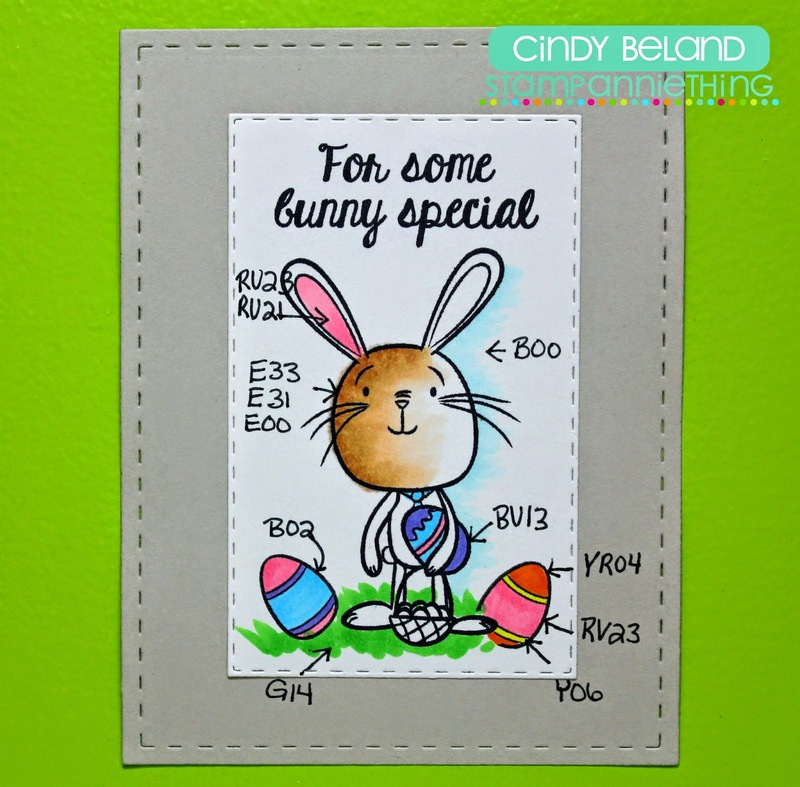 I have a cute little Easter Treat to share with you today that I made featuring the Stamp Anniething ~ For Peeps Sake. 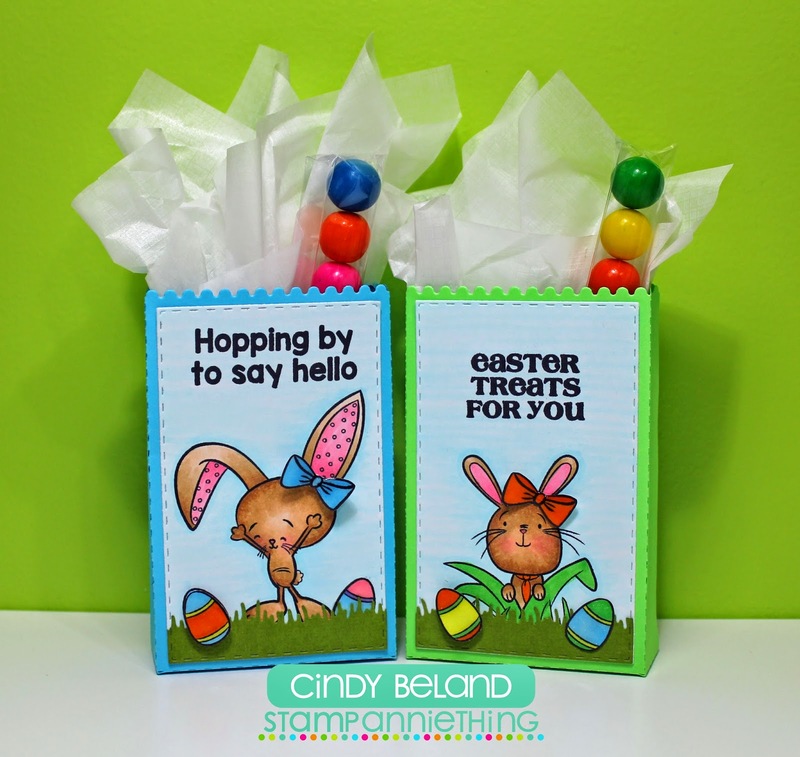 I cut this cute little treat holder using the SVG Cutting Files ~ Mini Nugget Platform Bases. 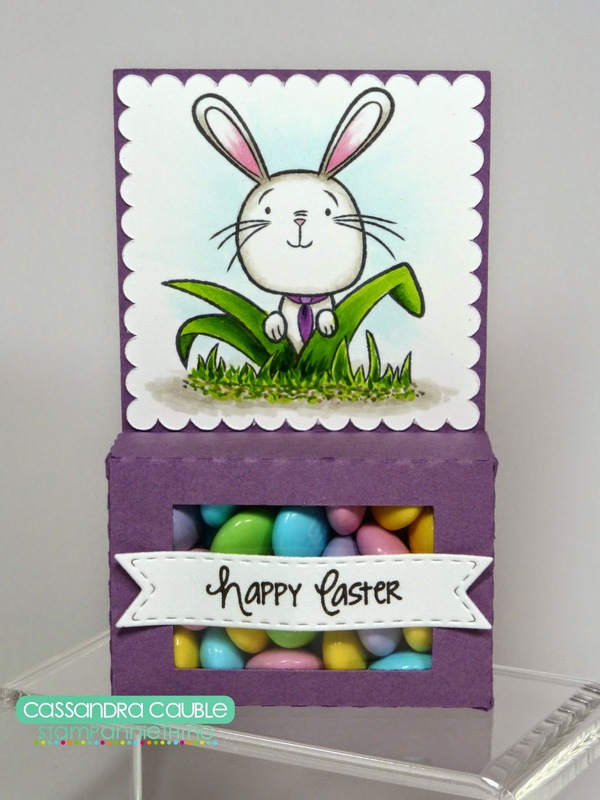 The cute little bunny peeking out from behind the grass, as well as the "happy easter" sentiment are from the Stamp Anniething ~ For Peeps Sake. 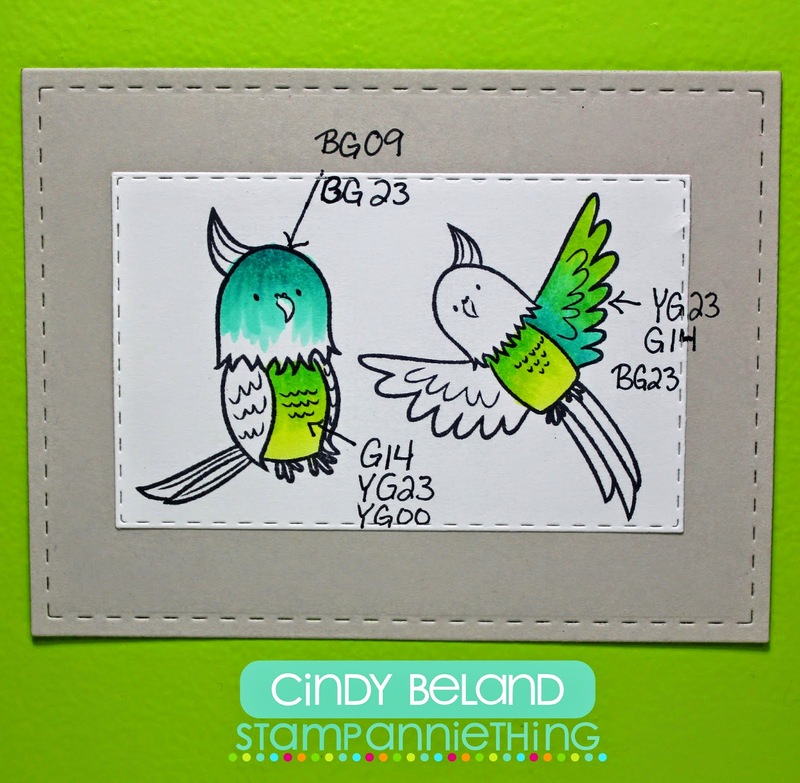 The label is cut with Jaded Blossom ~ Mini Tag Dies 2. Well my creative friends, that's it for me today. I will see you all again soon. Happy coloring! Hi everyone! This is GiGi from The Cricut Bug and I have a fun card to share with you. 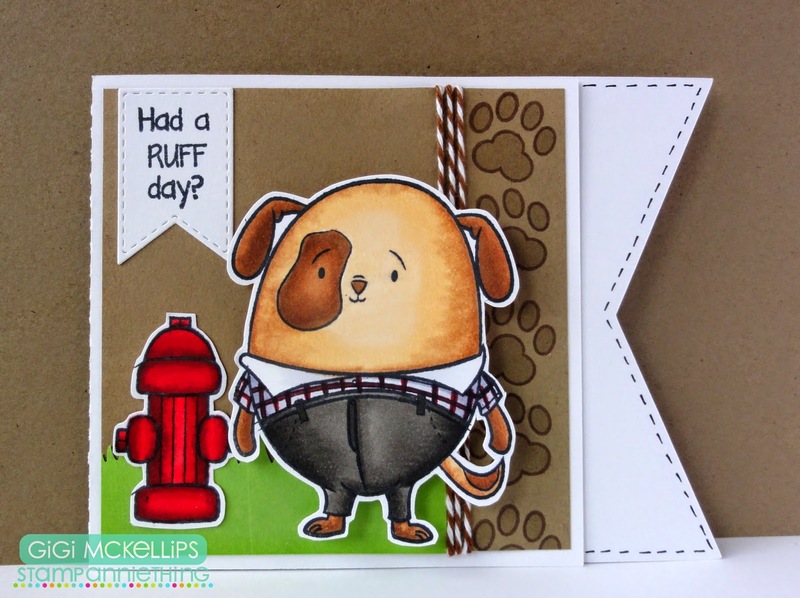 I used the Dog Gone Cute stamp set to create this card. I started this card with the On The Edge Card-Flag base from our sister company SVG Cutting Files. I cut it out with my Cameo and added a black stitching line to the inside around the flag. I stamped the side of the mat using the paw print from the Dog Gone Cute stamp set and colored it with a Versa Mark pen. I also added a row of grass that I punched out and some twine to the side. 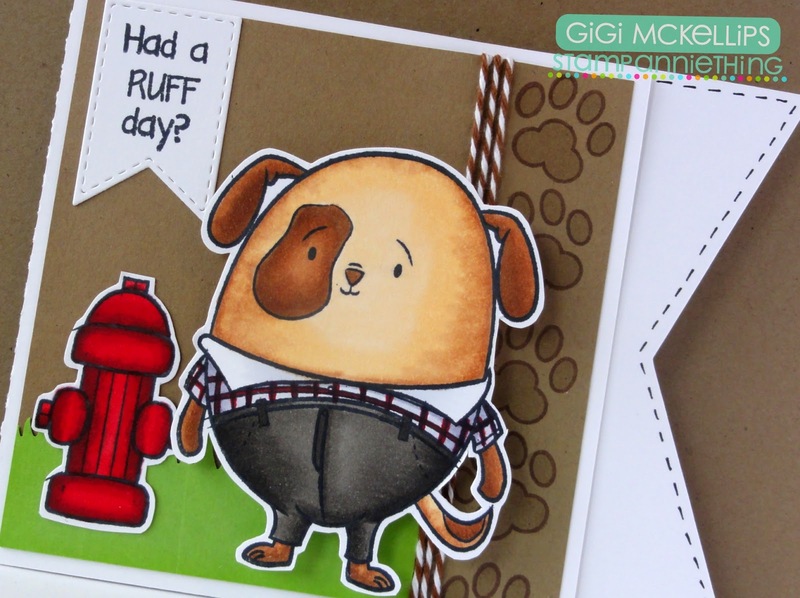 I stamped the dog and hydrant from the Dog Gone Cute stamp set and colored them with Copic markers. 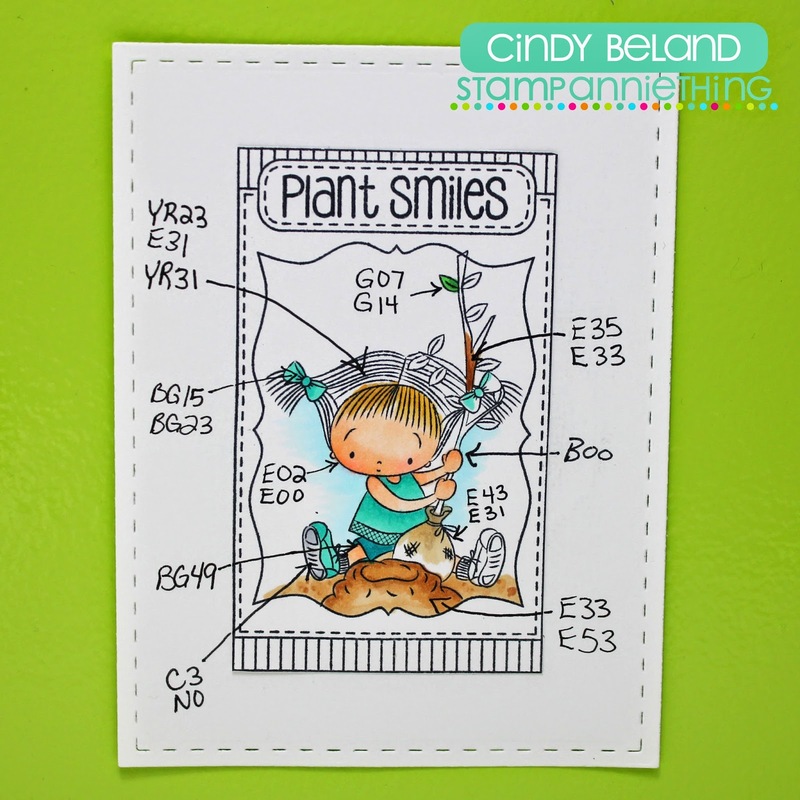 To finish, I cut out the sentiment banner using Jaded Blossom's Candy Charms and Banner Dies and stamped the sentiment. All of the stamps are now available in the STORE! Comment on THIS blog PLUS all the DT's blog for the 3 day release!! 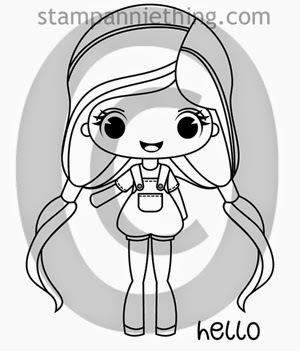 Check out the AWESOME creations the Design Team made with sweet little ANNIE! Make sure to come back tomorrow for Day 3!